2016 has been the year of marketing fads. From Vine (RIP) to Snapchat and everything in between, businesses have done everything possible to get the attention of consumers. Some platforms have worked in driving actual leads, but most have not. 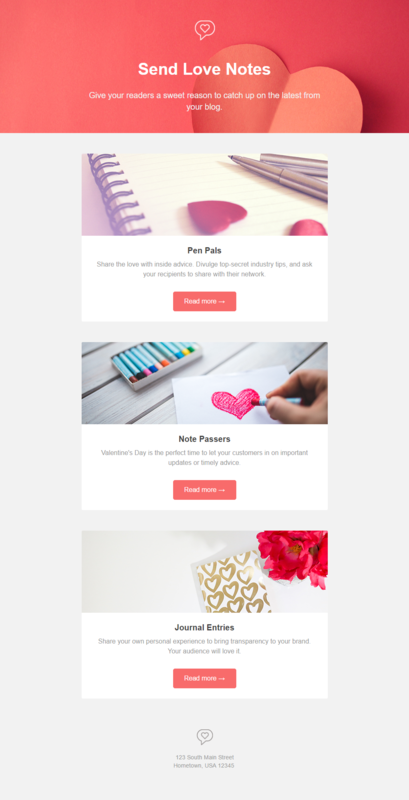 So what happened to our old friend email while the young whippersnappers got all of the marketing love? It got bigger, better, more efficient, and more profitable. Email generates an ROI like no other digital channel. From its humble beginnings as a strictly promotional tool, it has become a driving force behind content marketing – the hottest topic in the sales and marketing world today. Not only is email the most efficient digital channel, it’s becoming a primary source of customer data and the best way to reach customers on mobile. In fact, for quite a while, reading email has been the number one activity on smartphones. As a marketing channel, it’s growing and evolving. So let’s take a look at what’s likely to happen in the email marketing industry next year. Personalization is a powerful tool. With vast amounts of customer data easily accessible today, it’s something every marketer should use in his or her campaigns. Yet, according to DMA’s recent Email Tracking Report, 63% of people agree there’s a lack of valuable, personalized emails in their inbox. Valuable is the key word here. Make sure you’re not blasting out cheesy, personalized emails. Personalization goes beyond the subject line. Recipients that receive emails that are personalized and relevant to them are going to be more engaged. If you’re sending the right email to the right potential customer, your engagement metrics will skyrocket. Reaching new levels of relevance (and engagement) will be the only way to compete in a growing marketplace in 2017. As we mentioned yesterday, there will be a quick and important shift from being mobile-friendly to being mobile-focused. Mobile now represents 65% of digital media time, while the desktop is becoming a “secondary touch point,” according to a new study by comScore. In fact, mobile users already outnumbered desktop users several years ago. If you’re banking on the fact that users are using a desktop or wide-screen tablet when opening your emails, you could be making a huge mistake. In the age of the smartphone, it’s important that your emails are effective on mobile first and foremost. As marketers are looking for more engagement, email content will evolve beyond simple newsletters. They’re also looking to stand out and interactive content will deliver this. According to a recent survey by Demand Metric, data has shown that interactive content marketing helps businesses to get distinction in the market, especially among immediate competitors. Likewise, marketers are finding out that simply by adding a video to their content, their click rates can get a boost of up to 300%. Adding dynamic content can increase click-to-open rates by 73%. You don’t need to blow your marketing budget on feature films in every email. Start small. Consider a quick iPhone-made video message or GIF in your next email. Test engagement with short videos and interactive elements before taking the plunge on a full-blown video strategy. As you’re probably aware, the average office worker gets more than 120 emails per day. We’re all constantly bombarded by ads, messages, notifications, and click-bait subject lines. Naturally, our attention spans are much shorter today. Considering the quick rise in popularity of mobile email, attention-grabbing subject lines and straightforward email content with a clear and compelling call-to-action will be more important than ever in 2017. In fact, according to data from Boomerang, the ideal email length is between 50-125 words. That generated response rates of above 50%. 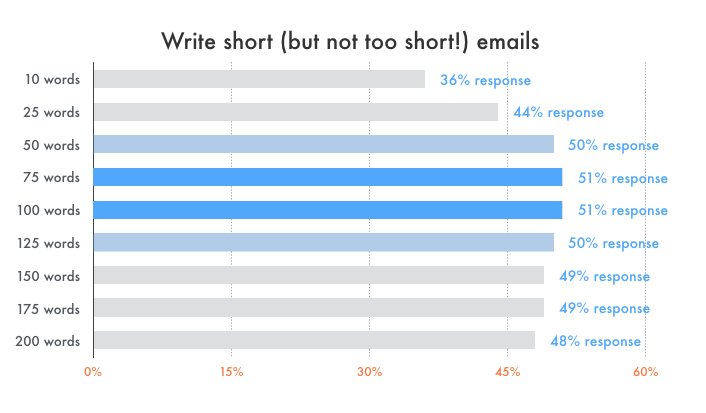 Short (very short) subject lines of between 3-4 words also proved to deliver the highest response rate of 48%. According to a study by Nielsen, 84% of consumers trust recommendations from their peers compared to 15% who trust brand recommendations. With the growing popularity of Instagram, Pinterest, and other social media platforms, marketers now have unprecedented access to consumers’ real-life product experiences. Smart email marketers will spend more time integrating user-generated content, such as photos of customers wearing and enjoying their products in email campaigns or customer reviews, in order to grab the attention of prospects and subscribers. While email has remained the most effective digital channel through all of 2016’s new marketing trends, it’s important that you continue to optimize your email marketing strategies to remain competitive in the overcrowded inbox.